Jack Butala: This is Jack Butala for Land Academy. Welcome to our cash flow from land show, once again. In this episode Jill and I discuss women. One of my favorite topics. Specifically the women of Land Academy. Jill, I have to ask. Have you noticed that at least half of our members, and some of the most successful ones are women? Jill DeWit: Absolutely. I also want to just re-title this to the woman of Land Academy. It’s really honest. Jack Butala: Why don’t we just rename the whole company and this whole thing Jill? 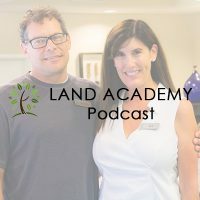 Jill DeWit: Jill and Land Academy. Jill DeWit: The woman of Land Academy. No. I just had to say that. When I saw this title I went, women or woman? Which one are you talking about? Jack Butala: I don’t if you know this. Jill, you’re taking this acting thing so i announced it on our weekly call with all of our members. Jack Butala: It was like this, let’s all tell Jill to break a leg, because you’re out doing this thing, and one of our members piped in the call and said, I hope you have a plan b, Steve. Did you see that? Jill DeWit: I can see that. That’s so cool. Jack Butala: That’s justjill.com right there. Jill DeWit: I wonder if that’s website’s available. I think that’s really cool. Jill DeWit: Shucks. Got it. Thank you. That would really cool. Jack Butala: Anyway, have you noticed that? There’s a tremendous amount of success for women. Jill DeWit: I have. One of the reasons I attribute that to is, I have a a couple good points here. One of them is I think that women especially appreciate the approach that we have taken to our whole overall philosophy, our culture, our honesty, our transparency. I think everyone has but a lot of women and how we teach. That’s one point that I have to make about that. Jack Butala: I have never seen you be so serious in a podcast. Jack Butala: You’re usually just horsing around. You like this topic don’t you? Jill DeWit: This is a very important topic to me, yes. Good things are going to come of this. 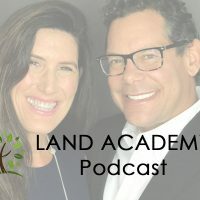 This is not just the women of Land Academy. It’s women in business too. Jack Butala: You think our approach, you think it’s more methodical or what do you think is different about it? What you do you think sings to women about our approach? Jill DeWit: A lot of it is the fact that there’s you and I, and we’re different genders. I think that’s huge. You and I are really good at keeping each other in check and we’re really good at utilizing each other’s strengths. There’s things that women just do differently than men. For example, we often make decisions differently and we often make more conservative decisions. Jill DeWit: That whole thing about women and your gut is a hundred percent true. Jill DeWit: It’s a hundred percent true. Every women right now listening to this show is going, uh ha, and they’re pointing to their partner in the car, going, you hear that? That reminds me of a funny story one time I was listening to. This is five, ten years ago. I was listening to Dave Ramsey on the radio and back then it wasn’t a big syndicated thing too. I don’t even think he was playing in our state, in our city. I knew of him when I was traveling and had to seek out to find him, but I will never forget this caller that called in and he was asking Dave, here’s my financial situation. For anyone who doesn’t know Dave Ramsey, he is a wonderful radio personality and his whole big thing is getting out of debt and getting right on track, not utilizing credit which things that sing to us as well. Our ultimate thing is pay cash for these properties. Jack Butala: Become independently wealthy. Jill DeWit: On that too. Jack Butala: Make your money work for you. Just be logical about it. Jill DeWit: Exactly. Don’t go into a lot of debt. Jack Butala: Don’t buy a new car every year. Jill DeWit: Right. Things like that. Save up. Pay cash for it. Do it smart. Jack Butala: If you as a listener, you’re listening to this show and you don’t know who Dave Ramsey is, you should change the rock that you live under. Jill DeWit: I love that. The whole thing was the caller was asking Dave, here is the deal, here is the transaction. Do you think this is a good deal? I’ve got this money. Whatever it was, and Dave’s very first question to this guy was, what does your wife think? Jack Butala: The first thing that comes to mind when you say that story was how stupid was this guy’s idea? Jill DeWit: No, it wasn’t. Jill DeWit: No, it wasn’t. It was a really legitimate good idea. Jack Butala: Women can smell out a stupid idea a mile away. Jill DeWit: That was Dave’s point. That was a hundred percent Dave’s point. Good, bad, or otherwise it could be the most fantastic deal, this guy was about to pull the trigger, and Dave was just reminding him, before you do this, what does you wife thing? Does she sign off on this, because her gut instinct is often right. That was the whole point and that was just my point is that we do make decisions differently and they’re good decisions. What’s really interesting, Steven, is you do a version of that yourself because you are really good about doing your research. That’s just your nature. Jack Butala: Thank you for the compliment. I’ve been charged with over analyzing many many times. Jill DeWit: Can you over analyze? I’m not sure. Jack Butala: I think so. In fact I saw this on success plan really recently. Success plan, if you don’t know is our online community where we all help each other. 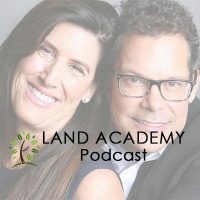 It’s Land Academy’s online community where some people have purchased the program and they’re going through it and they’re helping people who have not purchased the program and vice versa. There was one guy in there that said, enough analysis paralysis. Literally he was researching for two years. Didn’t we just do a show about jitters? Jack Butala: Talk about jitters. That’s too much analysis. Jack Butala: He purchased the program and he’s buying property now. Jill DeWit: Exactly. I get that. I did. That’s very true. I get it. You’re saying yes to … ? Jack Butala: I’ve done it. I probably do it all the time. Jill DeWit: Do you think you’ve done it too much? Jack Butala: Yeah. When I go to buy a microphone I probably spend way too much time online trying to figure out which mic is best for the money and I just use microphone as an example. Or if we go on vacation, it’s like, you gotta look through all this stuff and make sure [crosstalk 00:06:48]. Jill DeWit: Yeah, you do that. Jack Butala: I spend too much time on that. Jill DeWit: I was just kidding. You know what? Maybe there should be a dollar limit. Maybe there should be if it’s above this let’s not get too hung up on it but if it’s below this, you know what I mean. Jack Butala: That’s a great rule. Jill DeWit: Maybe we could work out something like that. That’s a whole other topic. Back to the women of Land Academy. That’s just something I think is important and I notice and I wonder if that’s why we have so many successful women that, we have a secret. You know how men are really good with directions? Let’s be honest. This is not a men are from Mars, women are from Venus kind of show. Jack Butala: Yes it is. Let’s make it that. Jill DeWit: Okay, it is now. Jill DeWit: Men are good at this. Women are good at that. Jack Butala: Yeah. Let’s do it. Jack Butala: Go. Men are good at directions. What are women good at? Jill DeWit: Decisions like this. Trusting our gut. Jack Butala: Trusting our gut? Jill DeWit: Feelings. People. Bad people. Jack Butala: Feeling. The sixth sense? Jill DeWit: We have a a sixth sense. Bad people. Let’s get out of here. We’re good at that. What’s a man one? Jack Butala: What does the man want? Jill DeWit: No. What is a man one? What’s another man one? What’s another thing men are innately good at? Is parking one? Jill DeWit: Driving? Yeah. Anything physical. Opening jars. Jack Butala: Yeah. Using a hammer incorrectly. Men are great at that. Jill DeWit: Yes. How’s your tool kit. Jack Butala: I’m not sure I should talk about my tool kits. I got so mad one time that I threw away tools. I’m just not good at certain stuff like that. Jill DeWit: I have another one. You know what women are better at? Jill DeWit: Nurturing children and sympathetic. Patience. Jack Butala: [crosstalk 00:08:46] have patience, which I really think they’re more methodical which is rarely our approach to this whole thing. I really think that’s why we have multiple women who are, one of them is extremely successful in our program who have been directly involved with our number one competitor for a long time. She learned about us and came over and spilled the beans and said, you guys, it’s just a different approach. It’s more methodical. Jill DeWit: That’s so sweat, she said I wish I would’ve waited. You guys hadn’t launched this whole big thing for me yet. It was really good. Jack Butala: This program is a great side business. I have not marketed it that way but there’s a huge culture about, I want to keep my job, I like it, and my husband’s at work but I want to start a side business so maybe I can start making a good living by the time my kids are going to school age, or whatever. Jack Butala: That’s what she’s doing and she’s doing great. I think women are great at planning. Planning should one. Men start with great plans in their head but I’m sure that they’re the best at methodically executing a good plan or any plan. Jill DeWit: Yeah, I’ll go along with that. I want to go back to the patience. Women have often more patience and sometimes I am dealing with transactions that require patience. You know what I’m talking about? Jill DeWit: Whether it’s talking to a seller, we’re talking to a buyer. Jack Butala: To the county. Jill DeWit: Talking to the county. Jill DeWit: You know what? It’s more women. Jill DeWit: You know what’s interesting about that? I have two reason. One, they’ve outlived their husbands who have passed on. No, I’m just stating a fact. Jack Butala: Yeah, women live longer than men. Jill DeWit: It really is. There’s a women that say my husband passed on. It’s the truth, and this is the property. The other reason is, they’ll take on the project. Men are like, I don’t want to deal with this and the women will say, this is worth something. I’ll make the phone call and see what we can get for this. Jill DeWit: They’ll pick up the phone and do it. I’m familiar with that. I used to be in a relationship, oh my gosh, it drove me crazy. I had this guy, he would not talk on the phone for anything. I’m talking he wouldn’t even order pizza. I had to do it all and it was a little bit frustrating. Enough about that. Seriously. Women will pick up the phone and do that. We have the thing. We have the patience. We’ll get it done. I think too we’re about, are men more big picture and we’re more about checking off the list? Is that it? Jack Butala: Yeah, maybe. No, I think you’re a little bit unique in that. I think it’s the pilot in you. Jill DeWit: This is going to be an awesome show. Jack Butala: Since you opened that can of beans, or can of [inaudible 00:12:09], whatever you call it. All kidding aside I think one of the unique qualities about you, Jill, that there’s not a lot of women that are checklist oriented and very direction driven. Certain women can be very complacent. Jill DeWit: What happens? Does nothing get done? Jack Butala: Maybe it’s not a gender thing. What happens in that, and the more I think about that it’s not a gender thing. Jill DeWit: It was an isolated incident of someone in your past? Jack Butala: No. It’s the status quo thing. Now this is about relationships and it’s not supposed to be. Sometimes in a relationship there’s two people, when two people love each other … In a relationship sometimes one person wants to go to the moon and another person’s just real happy … It’s the old case of, honey this is just the starter house, then it becomes the house you’re going to retire in and the other person’s going, what are you talking about? I thought we were going to live here for ten months? Jack Butala: I just think that it’s not gender specific. One of the great things about you and I, Jill, is no matter what the topic is and no matter how sideways it can get and whatever task you’re working on or I’m working on? Jack Butala: We’re still going in the same direction and we still see what the end looks like. Jill DeWit: Gosh, you know you’re right. Jack Butala: I think maybe it takes a while. Jill DeWit: God, that’s why we’re so good together. That’s why we’re good partners together and everything. Jack Butala: Right. That’s what I think. Jill DeWit: I agree. Even if you and I, now it’s a counseling session. I’m just kidding. Even sometimes if you and I don’t agree on things, that’s going to happen when you have a business together, that we’re all going the same direction. I can always sit back and relax, knowing that we’re going to get to the end together. It’s going to be fine. This deal’s going to get done or whatever it is that’s going to happen. We’re just not agreeing with how it’s going to happen at this moment or something. That’s okay. I get it. Jack Butala: You think it’s harder to find a good woman or a good man? Jill DeWit: I have to say a good woman. Jack Butala: That’s what I think too. Jill DeWit: I really do. Do you think everybody agrees with that? Jill DeWit: All the men do. Jack Butala: Yeah, and I think most women if you really ask them and they’re honest, yeah. Jill DeWit: Uh-huh. (affirmative) That was a big sigh. Jill DeWit: That was hard to say. I feel bad saying that but it’s true and I have a lot of great friends but I have a lot of great friends that I would not set up my guy friends with. I’ll be honest.